Jaipur: Medical services at government college hospitals across the state resumed as resident doctors called off their 10-day strike after an assurance from the government that it will to look into their demands. Over 4,000 agitating doctors at all seven government medical colleges returned to work last night after holding talks with state health minister Rajendra Rathore and BJP leader Digambar Singh. The doctors had gone on strike in Jaipur, Jodhpur, Ajmer, Bikaner, Udaipur, Kota and Jhalawar on June 30 protesting the decision to send their answer scripts for evaluation to other states, which caused inconvenience to patients. During the talks, the state government assured them that the suspension and termination of doctors ordered by Rajasthan government during the strike will be revoked. 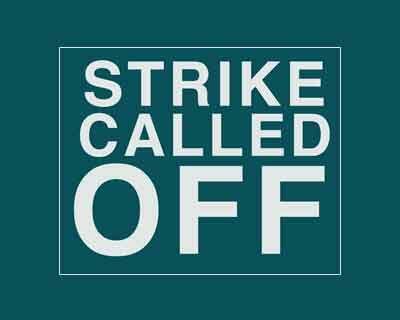 “The talks were held in a cordial manner with the health minister after which which we decided to call off the strike. All striking resident doctors of seven government medical colleges have joined duties,” vice president of Jaipur Association of Resident Doctors (JARD) Dr Akash Mathur said. The communication gap with the government was also cleared in the meeting, he said. The minister had taken a tough stand against the agitating doctors and directed the officials to take action against them including termination of admission in post-graduate courses.